However well founded and presented, the most excruciating stories about suffering in the world keep failing to mobilise the scale of action required. Perhaps appealing to solidarity rather than pity could help charities drive identification with their cause more effectively. If anything, it would help right that messed up power relationship between the ‘generous’ and the ‘needy’ they tend to feed off. Vickie Hawkins had a pretty difficult job at Meaning 2017. 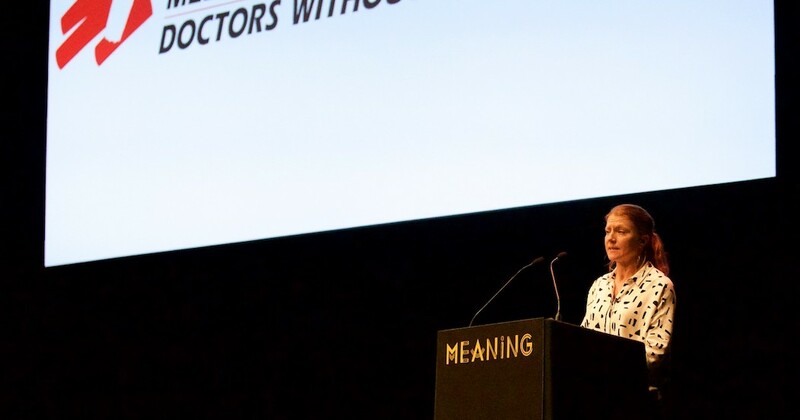 The director of MSF UK delivered her message about the plight of millions of refugees to a Brighton Dome full of people brimming with energy from inspirational talks and conversation. There’s nothing inspirational about the violence, deprivation and injustices faced by fellow human beings who’ve had to flee their homes. The harm inflicted on them by our governments, the sheer relentlessness of the emergencies her organisation, Médecins sans Frontières UK, and others working at the frontlines of conflict and natural disaster work tirelessly to address, felt plain depressing. That energetic buzz in the room turned into a heavy, shamefaced silence. 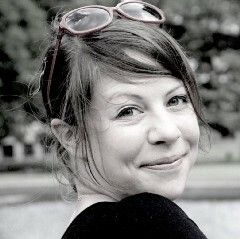 Even so, Hawkins managed to inspire: She spoke of an an organisation that stands out for its integrity and independence. It also likes to break the mould. Well aware that they’re merely working at the symptomatic end of systemic crises, MSF seek independence from those with vested interest in a conflict. This often requires saying no thanks to institutional donors and, she said, MSF often do. MSF are also known for walking out on an industry-wide summit they deemed a ‘fig leaf of good intentions’, and run a blog for open reflection on their dilemmas and mistakes. All this makes them a pretty rebellious global player in the NGO world. Why, then, did I still walk out feeling troubled and conflicted? I pooled reactions from Twitter and various people in the audience and found almost invariably the same kind of response: a dutiful, well-behaved assertion off how heartbroken, inconsolable and in awe of charitable work we are. Despite being well-delivered and impassioned, Hawkins’ talk left us with the same sense of deflated overwhelm and powerlessness that we get when we read the news in the morning. The same guilt for living cushy, privileged lives. The same plea for support ringing in our ears. Gone was the fire we’d had in us after having the very basis of our existence put into question by Kate Raworth and our minds blown by Margaret Wheatley’s wisdom on how (not) to change the world. As I thought about it, I realised that what was troubling me wasn’t specific to MSF UK or Vickie Hawkins’ talk. It’s endemic in the way charities communicate with us — appealing to our guilt, powerlessness and pity. But is that actually working anymore? Or are we so numbed by compassion fatigue that what we’re actually doing is murmuring polite words and turning away? pity ‘has a vested interest in the existence of the weak’. And it seems to me that charities have nurtured a vested interest in pity. They have become masterful in appealing to it. They know exactly how to present numbers, images and human stories in ways that push all the right buttons. They do so with good intent, and to some extent it has worked. It is out of pity for others that we are attracted to helping the needy and the vulnerable at the centre of Hawkins’ accounts. 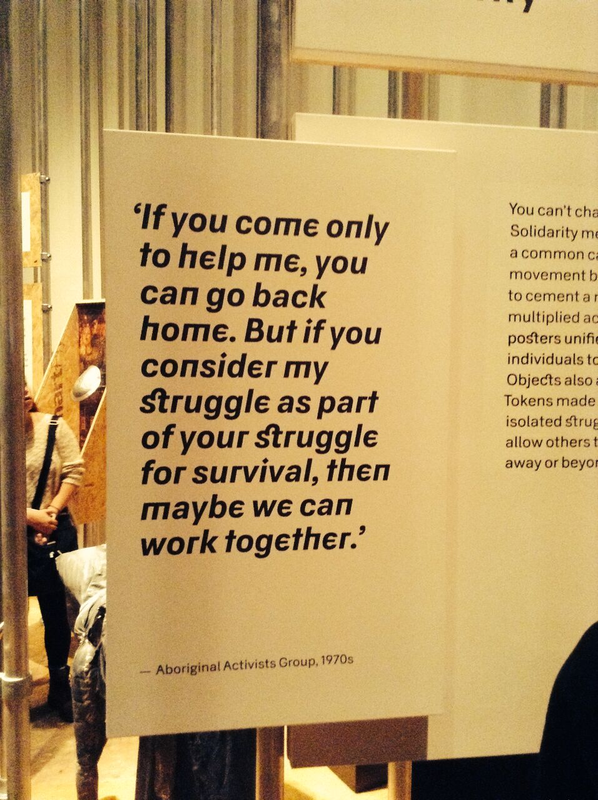 But it is out of solidarity with others, a shared drive for justice or change, that we join those who’re oppressed and exploited, on an equal footing, as fellow human beings whose struggles affect us, too. It is out of solidarity, not pity, that white people joined the movements that made history fighting segregation and Apartheid, that men joined women in their struggle for the vote, or that veterans stood beside the indigenous groups blocking the Dakota Access Pipeline. Not because of magnanimity, or generosity, or not even out of guilt, but because they couldn’t stand the injustice. I would have loved to hear Vickie Hawkins speak on behalf of herself first and foremost, and tell us of her own struggle. For someone running a charity and faced with such relentless suffering it may seem counter intuitive, but I believe she would have left a different energy behind. Feeling conflicted by the messy business of doing good? Follow @TheGoodJungle or subscribe here. Thanks to Zelah Senior, Tom Nixon and Tobias Denskus.